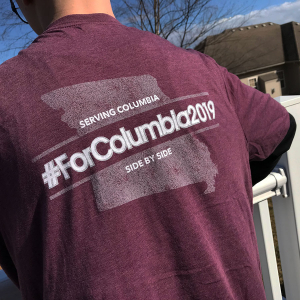 One of the ways ForColumbia strives to love and serve our neighbors is by serving those non-profit organizations that are actively working every day in the lives of people in Columbia. Wilkes Boulevard UMC is home to more than one non-profit effort; both Turning Point and Loaves and Fishes work out of this church’s property. Turning Point and Loaves and Fishes both focus on the needs of the homeless population in our city, providing meals nightly as well as other practical services such as laundry facilities and the ability to shower, in addition to other support and advocacy services. When we give our time for the benefit of people in our community who are marginalized, we send the message that they are valuable. ForColumbia volunteers will be working inside Wilkes Boulevard UMC to deep clean the kitchen and eating area for Loaves & Fishes.